This year has seen Sony providing consumers with a number of high end smartphones as the company looks to take a larger slice of the market, and now it seems that the Sony Xperia Z1 Mini global launch good be soon. There have been a number of rumours surrounding the Sony Xperia Z1 Mini before the device was launched officially in Japan earlier this month. Now the company is holding a press event next month on the 12th and it is thought that Sony will be showing off the international version of the Xperia Z1 f that has already been seen in Japan. 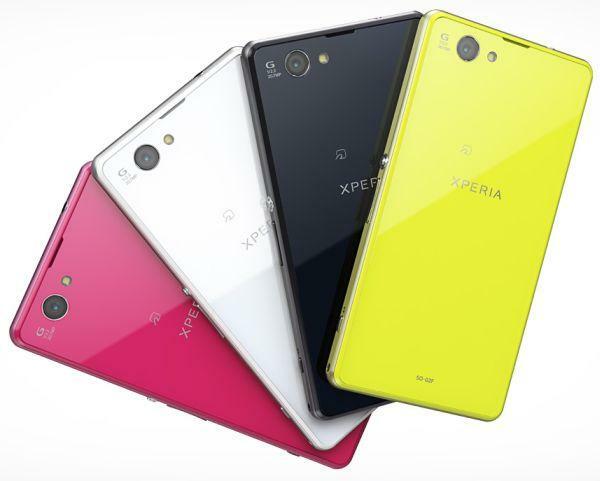 Earlier this week we saw a press render leaked that was being called the Sony Xperia Z1S which some believed could be the T-Mobile version of the Xperia Z1, but it could easily be the global version of the Xperia Z1 f.
Unlike other mini versions of flagship smartphones the Xperia Z1 f has some high end specs in its armour that include the quad core Qualcomm Snapdragon 800 processor running at a clock speed of 2.2GHz, which is paired with 2GB of RAM. Other specs of the device include a 4.3-inch display at a resolution of 1280 x 720, and on the rear of the device we have an impressive 20.7-megapixel camera while around the front is a 2.2-megapixel unit. As we get closer to the special press event we may get to hear more details of what the company is planning to unveil with many hoping that the Xperia Z1 Mini becomes available before the end of the year. Do you want the Sony Xperia Z1 Mini?